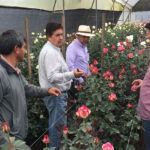 De Kwakel, February 2019 – WAC has opened new trial sites for roses in Ecuador and Columbia. In 2018 several hundred WAC selections were planted at both sites. “ During the open days in March, we will be proud to present them to potential customers’’, says Agriom director Jaap Stelder. 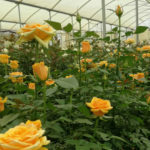 The WAC rose trial site at an altitude of 2800 metres in Cayambe, Ecuador is located at the Flowerfest nursery. The WAC used to have a trial site at Fiscella in Cayambe. “However, we ceased that cooperation as Flowerfest offers a wider range of possibilities ”, explains Stelder. “South America is a key market. We want to introduce South American growers to the WAC range and no longer focus solely on sales in African production areas. 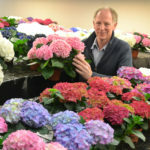 ” Within WAC, breeding company Agriom from De Kwakel and Ugandan grower Wagagai have joined forces to develop new selections. 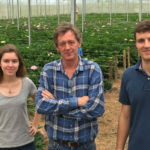 The keen interest shown by South American growers in the WAC range is underlined by the fact that Ecoroses, a nursey at an altitude of 3100 metres in Machachi, Ecuador, planted a trial bed with Bali in October last year. 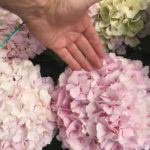 “This rose with flamingo-coloured petals on the outside and a cream-coloured heart is a true talent, and the same can be said of the bi-coloured Catch and certain selections that are still identified by number”, says Stelder. The WAC range planted at the test location in Ecuador can be visited during the open days to be held at the end of March. Photo caption: Edgar Orjuela (centre left) and Matin Yepes (right ), WAC representatives in Ecuador and Colombia, respectively, inspect a bed of Bali at the new WAC test location in Cayambe, Ecuador.